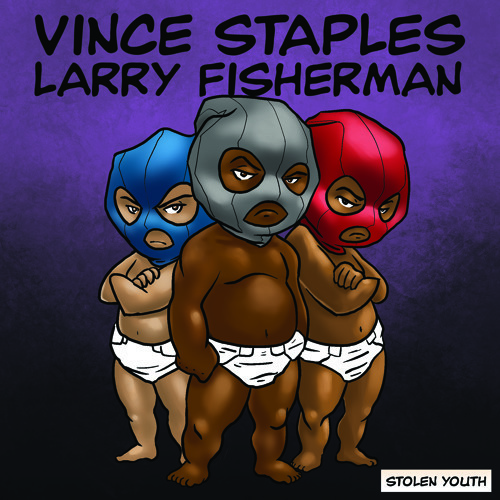 Vince Staples & Larry Fisherman - Stolen Youth [LP] by Blacksmith / A.G.
Vince Staples - Intro (prod. Larry Fisherman) by Blacksmith / A.G.
Vince Staples - Fantoms feat. Joey Fatts (prod. Larry Fisherman) by Blacksmith / A.G.
Vince Staples - Heaven - feat. Hardo & Mac Miller (prod. Larry Fisherman) by Blacksmith / A.G.
Vince Staples - Guns & Roses (prod. Larry Fisherman) by Blacksmith / A.G.
Vince Staples - Back Sellin' Crack feat. Schoolboy Q (prod. Larry Fisherman) by Blacksmith / A.G.